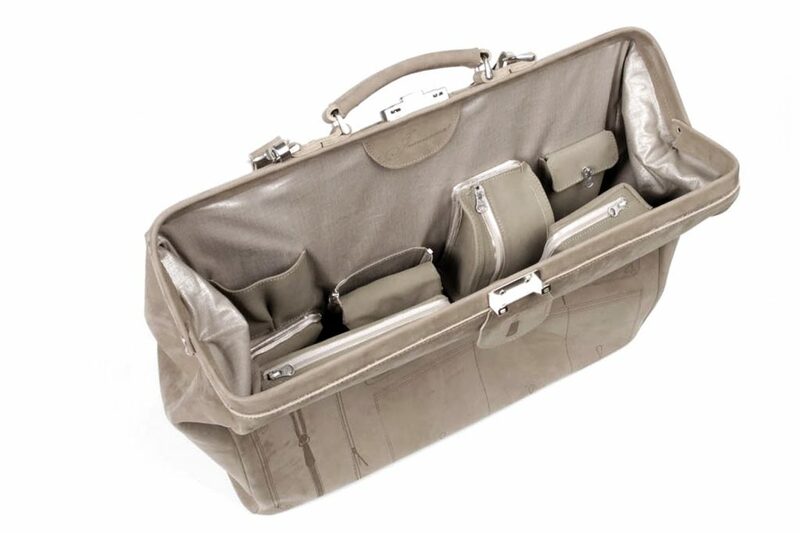 Luxury extra large DOCTORS CASE in nubuck leather. 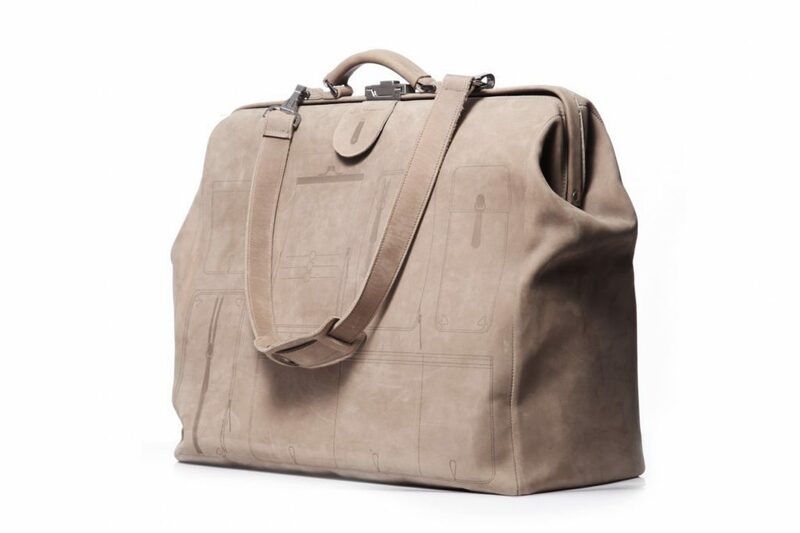 A weekend bag designed with enough space and pockets for all your important possessions. The outside of the leather bag is laser imprinted with the YKK zipper shapes of the pockets you will find on the inside of the doctor case. This laser print on leather is developed in collaboration with the Textile Museum Tilburg. The lining is designed with lots of pockets to store your wallet, make up bag, glasses, penciles, business cards and water bottle. Several pockets can unzipped and used as separate bags. The YKK silk zippers with metal pullers are specially developed for this collaboration as part of the Diesel International Talent Support Award It’s#7 sponsored by YKK.